Did your brakes break? Come to us for brakes in Vancouver WA! At Dabney’s Alignment & Brake we provide Automotive Services for Brake Repair in Vancouver, WA and Clark County. Your brakes are extremely important to your driving experience. After all, if you can’t stop, you are going to have some problems! When it comes to brakes, every time you stop, there is some wear and tear that occurs. If you are hearing that familiar grind or are simply concerned because it has been a long time since your last brake check, bring your car into Dabney’s Alignment and Brake to help with your brakes in Vancouver WA right away! Look out for common signs of brake issues! Loud grinding when you hit the pedal is a serious problem! This can indicate that the brake pad is thin or even worn through completely. You may also hear squealing every time you stop, which can be something serious as well. The sound is a signal to get a brake inspection done soon. Less responsive braking. This could indicate a leak in the brake line that should be patched up quickly before it becomes a severe safety concern. Brakes are an essential part of your driving experience. If your brakes are showing signs of aging, wear, or malfunction, bring your vehicle in today and have those things checked. While you’re there, we’ll also make sure to check for other auto repair concerns. 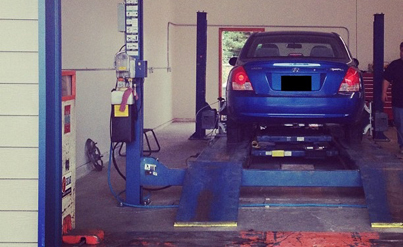 This includes checking your alignment as well as your differential system by our friendly and certified staff. With years of experience to go off of, call or contact us today and rest easy in the knowledge that your car will be given the best possible care.